This Koala is neither a bear or a native of Western Australia. To get this shot I had to resort to a Wildlife park next to Wave Rock. They had three Koalas there although I only found two of them as they are free to roam about the trees. I guess the park did not worry about escape attempts. 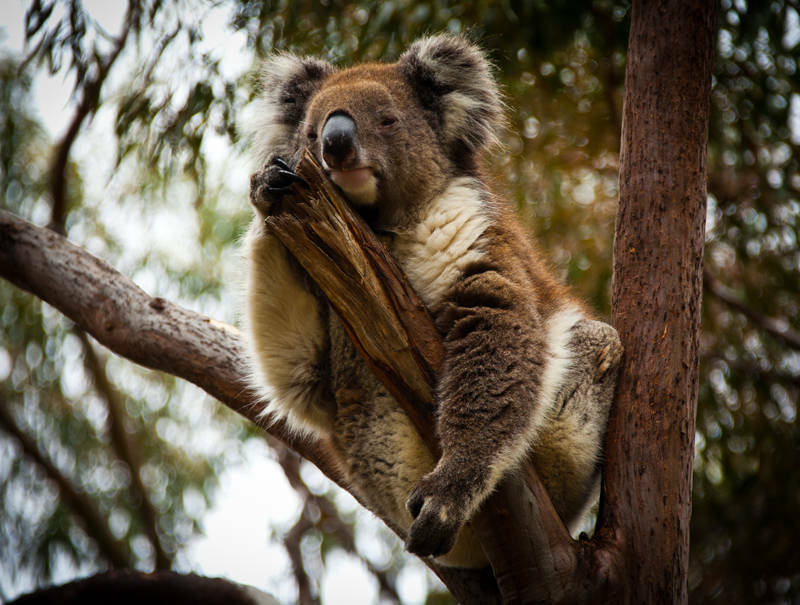 But then Koalas do sleep 20hrs a day and eat for 3hrs and could not be described as speedy. How far could they get in a break for freedom? We have settled in to Hopetoun now and are ready to start work tomorrow at The Deck. The weather cleared up today so we walked West along the beach from Hopetoun to the Culham inlet. In hindsight it was a little ambitious and we are currently reliving our aching limbs with a little Aussie alcohol. Aaah! Is it a teenager by any chance?